So 2015 has been one heck of a year, I passed my NQT year at work, went on two holidays and basically had an absolute blast! I'm going to share with you my favourite photo's of 2015 (this is going to be very photo heavy post) but before I do that I thought i'd update you on my new blogging schedule - fingers crossed I can stick to it. I'm hoping to blog every Sunday and Wednesday for the foreseeable future, I have enough posts planned from now until February half term when I should be able to write some more to last until the Easter holidays. I had the best weekend ever at Dalby forest completing Go Ape and spending my birthday weekend in a hot tub! I visited Disneyland Paris with my boyfriend and had the most amazing time, ever! Disney is definitely my happy place. I survived a whole year of teaching and passed my NQT year. I also made some amazing friends, include my bestest friend in the world! 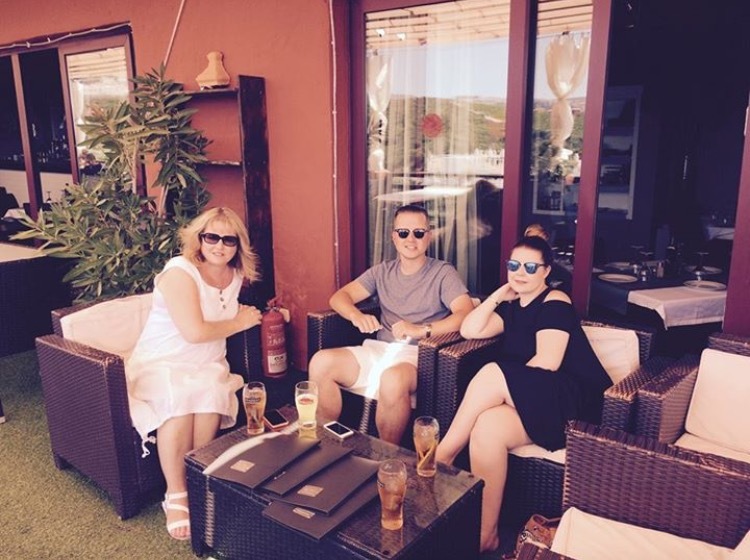 Me, my boyfriend, my mum and dad took a family holiday to Casares in Spain, it was one of the best holidays I've had. It was a week full of food, drink, good company and plenty of sunshine! I spent some lovely time with my favourite blogging girls! The beautiful Ashton also joined our Hull Bloggers crew - here's to more get time spent together in 2016! I joined Slimming World in around October and have lost 1 and a half stone so far. I'm hoping to lose around another stone to achieve my target! Obviously Christmas this year had to be included. It was planned to be pretty quiet and I worried that would mean rubbish but I was pleasantly surprised. I've had the perfect festive period which sums up 2015 exactly. It looks like you've had a great year! Disneyland looks amazing and well done on losing over a stone that's fab! It sounds like you had a great year. I hope 2016 is even better for you! Happy New Year! Congrats on passing your NQT!! Also, I LOVE disney;and Paris, I haven't been for years but I really wanna go back! It i so magical :) Happy New Year!